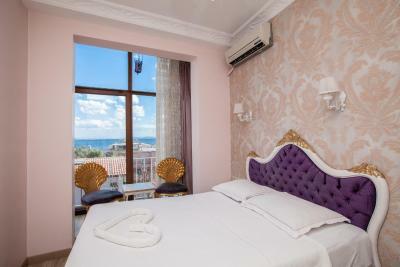 Lock in a great price for Romantic Hotel Istanbul – rated 8.1 by recent guests! The place was great and the reception was friendly. Great location. The main suite was very nice and comfortable. We had all that we needed. The service was spectacular, the two receptionists were always happy to help and arrange things for us. All of the staffs they were friendly and very helpful, specially the lady whos make up the room, location and the warm of the hotel. Everything was perfect during our stay. 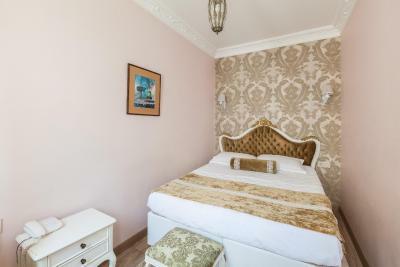 The location is just 5 minutes walking distance to the Sultanahmet mosque and the Hagia Sofia museum, the room is cleaned every day, and the heating system works very well in the room so it's not cold at all inside the room. 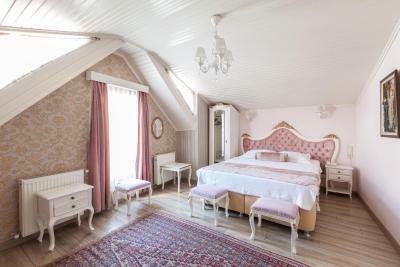 The hotel staff are super nice, they helped us with our luggage, and helped us in booking a hotel in Goreme when I found booking didn't work in turkey. The lady who made the breakfast is also very sweet and tried to offer us a variety of food. The hotel I’ve read that its gonna be cozy but when I was there I felt like I am home the staff is amazing, super friendly, kind and so welcoming. 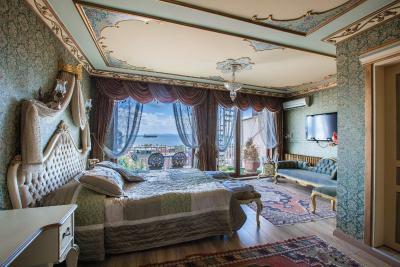 I recommend this hotel for anyone will visit the Magical City Istanbul, the location of this hotel is an added value in itself the value for the money is great. Breakfast in ths morning on the rooftop is capable of making you day starts beautiful. 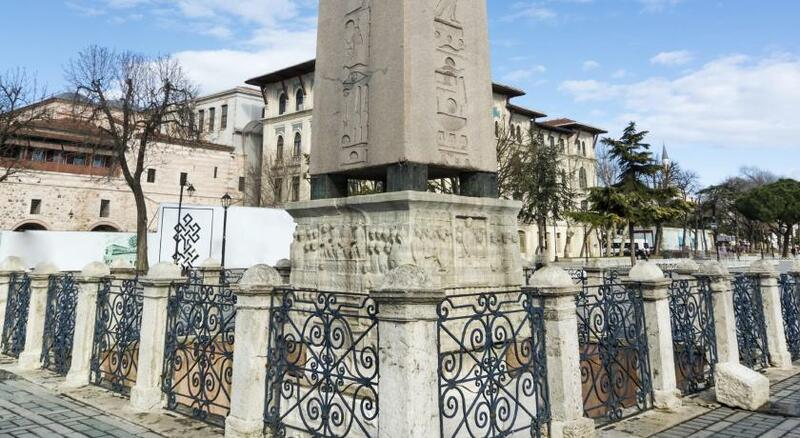 And if anyone told you that turkish people doesn’t speak english and they are hard to be connected, just let him know that those people as per my experience with everyone there is just amazing and I do not speak turkish but I found my way which is an easy one. 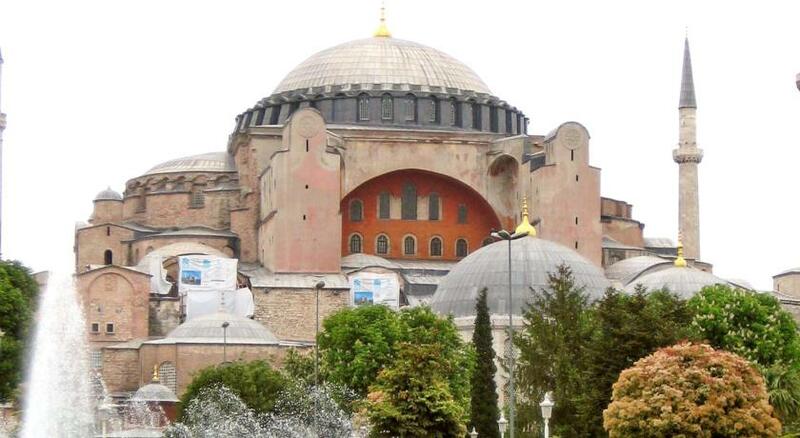 Location is perfect to visit all the emblematic places in Istanbul. 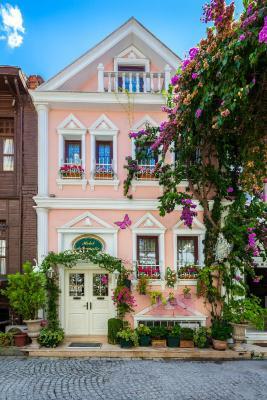 Romantic Hotel Istanbul, located in the most historic part of Istanbul "Sultanahmet", is an Ottoman stone mansion built in the beginning of the 20th century. 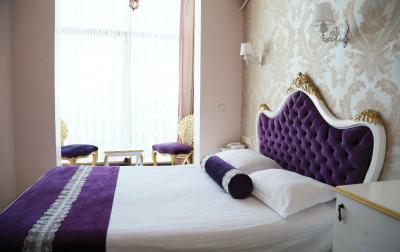 The hotel has 9 specially designed and decorated rooms for your convenience. 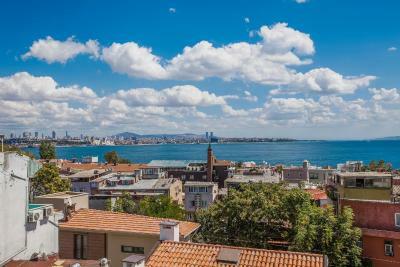 Romantic Hotel Istanbul has a terrace cafe bar, where you can enjoy a clear view of the Marmara Sea on the front side or the Blue mosque and Hagia Sophia on the back side of the terrace. 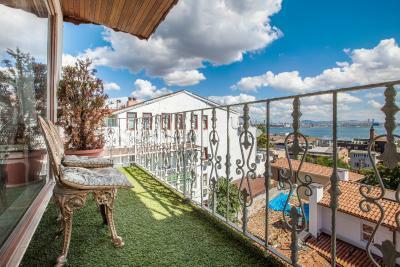 If you are looking for a relaxed atmosphere in central Istanbul, then this is the ideal holiday location. Take the opportunity to enjoy an elegant classical setting that makes you feel at home. 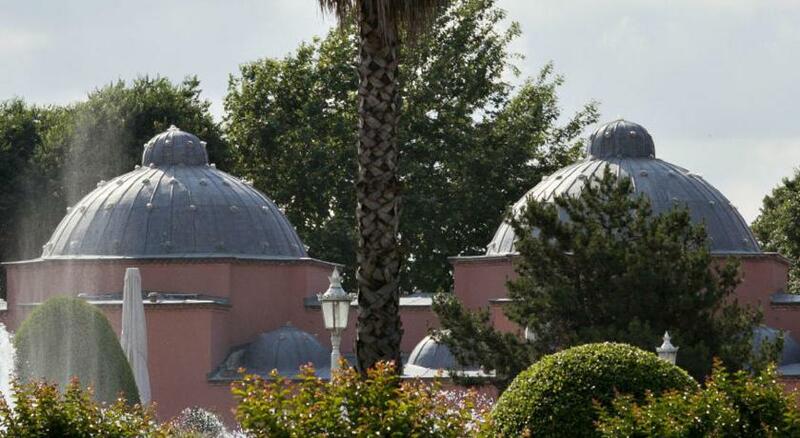 The major tourist attractions are a walking distance away, helping you enjoy the best Istanbul has to offer. 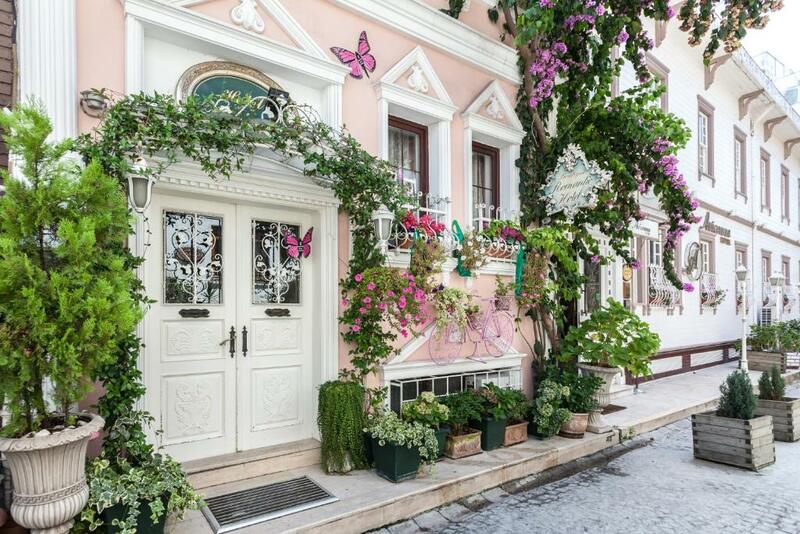 When would you like to stay at Romantic Hotel Istanbul? 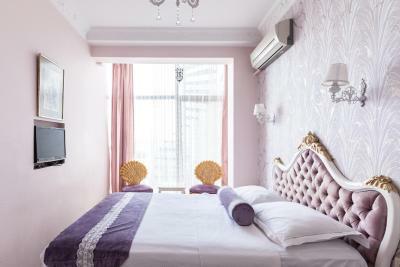 Featuring palace-like interiors, this elegant room comes with modern amenities. 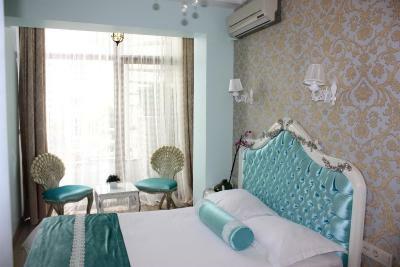 Featuring palace-like interiors, this elegant room comes with modern amenities. It includes 2 separate bedrooms. 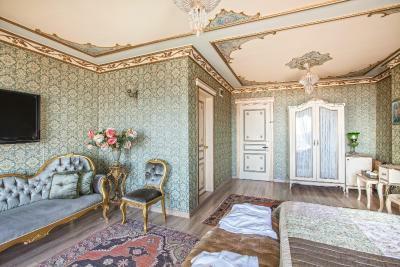 Featuring palace-like interiors and unique decorations, this elegant suite comes with modern amenities. 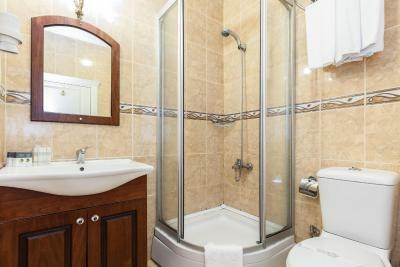 It includes a sitting area, bathroom with a spa bathtub and a private balcony with sea views. 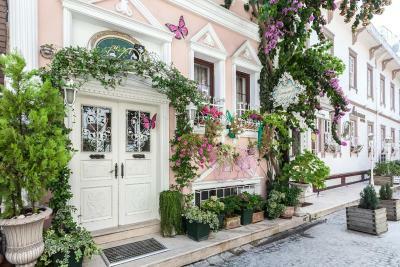 House Rules Romantic Hotel Istanbul takes special requests – add in the next step! 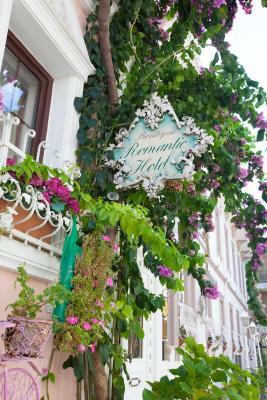 Romantic Hotel Istanbul accepts these cards and reserves the right to temporarily hold an amount prior to arrival. I could write a novel about our 4 nights stay and all the problems we had. These are our main complaints: Very misleading information and photos promising a roof terrace café bar, where the breakfast buffé is supposed to be served. But there is no roof terrace anymore, they were in the middle of rebuilding it into a penthouse suite instead. A quite uncharming breakfast buffé was served in the basement with no windows. Very small room. On the pictures, there was a lobby/reception where the breakfast room is now. 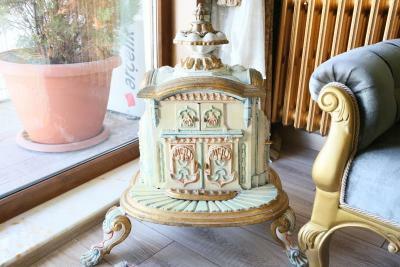 Overall, the hotel is being rebuilt and a lot of the decorations and furniture that were the foundation of the lovely, somewhat crazy, vintage feeling has been removed or overpainted. 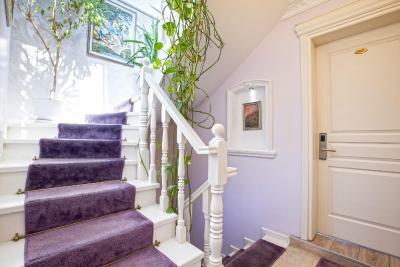 The same goes for the suite which now looks completely different. We didn't get what we paid for, or what we booked. Besides the misleading and untrue information, the management and staff were not doing their jobs very well. They were not service minded, never smiling, never really willing to help us out. Probably mainly bad management, but also unprofessional staff eating from the breakfast buffé, talking loudly on their mobile phones in the breakfast room (which was also a reception), sighing loudly, ignoring us... This hotel was surprisingly bad. The rooms were partly in ok standard (although not at all like the pics), and the location is central. Other than that, not at all what they promise. 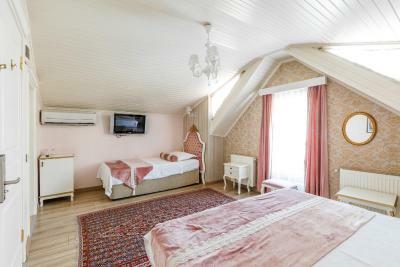 To close the hotel for the reconstruction or give 70% discount if people agree to stay during the reconstruction. We liked only staff of the hotel who are trying to deal with ongoing reconstruction and dissatisfied clients. Very Small tight structural Hotel. Rooms were very small to accumulate even small family of four members. Toasted bread was hard for kids. TV, AC & small snack bar refrigerator were not functioning, even complaint so many time. Bathroom cleaning was not good. Only four bottles of water was severed in one day long. Due to under-construction, Breakfast area was very tight and rooftop was not accessible, as it was shown in the pictures. No lift only stairs. Asked for airport return pickup service but management have changed the service without any notice for only Airport pickup, which cost me almost 15 euro extra. Ask for extra day for next three days, but hotel staff was not able to arrange that. Breakfast was healthy and excellent. In house cooked meal were not as per standard. Location was marvelous, indeed my family love to stay in this area. 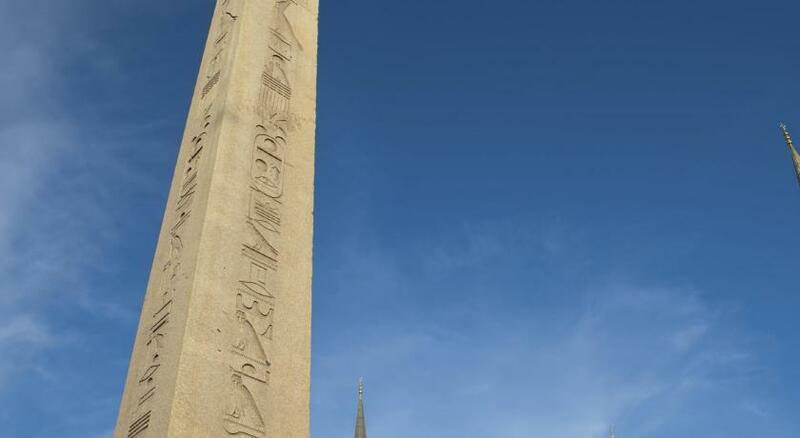 Very historical surroundings and easy to access. Staff was very cooperative & doing great services within their limits. Breakfast can be improved in the terms of diversity. It was the same every day and if you asked for something other than what's served, they'd usually bring it from the back room. This is something that can easily be improved and therefore provide a much nicer experience for guests. Location is excellent! Very close to all main tourist attractions. Rooms are new and comfortable. Pleasant staff and ok breakfast. Great for couples who'd like to visit most of the city by foot. Good value for money! Really good location, the hotel is really nice and cosy. The staff is helpful and kind. 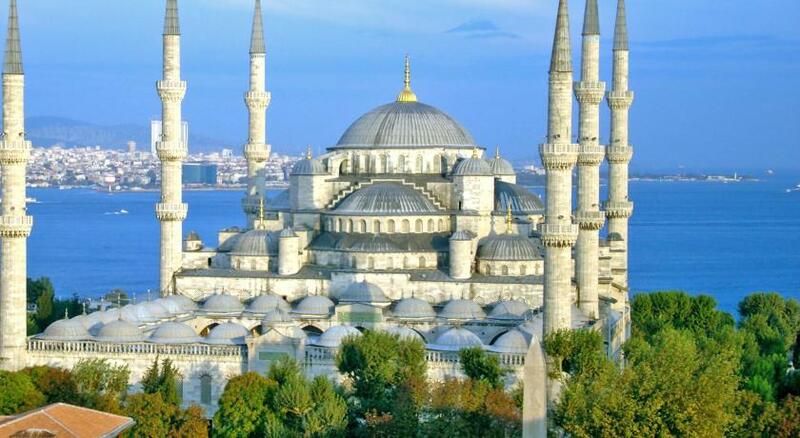 If ever come back to Istanbul for sure I will stay again here. 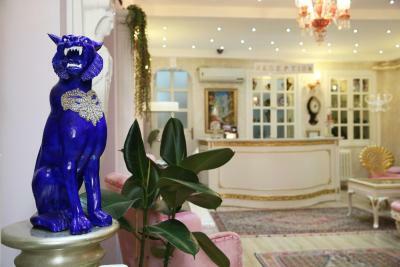 The location, the comfortability, the kindness and professionalism of the receptionists. It was very cold in room, specially in the bathroom. Very friendly staff, very good location, traditional accommodation. The breakfast could do with an improvement. Only on the last day we found out the chef does make omelettes in the kitchen, however we were never told and just had bread for breakfast. Would have been nice to be told. Very pretty hotel and nice staff. Would stay again. The air conditioner is a little noisy. Everything, the location, cleaness, staff etc. Breakfast was very simple & the member of staff spoke on her phone very loudly throughout. We did not eat there after this experience. The airport transfer we booked through the hotel did not collect us. One member of staff told me that I'd cancelled the transfer. He later changed his excuse to a booking error. I'd rather have an apology than be lied to. This delayed our start to our holiday & was unnecessarily stressful. 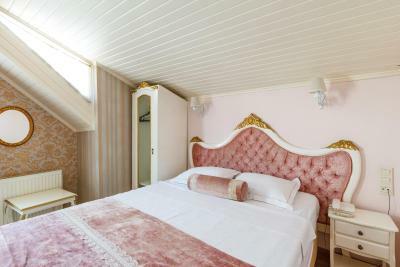 Photos of the suite aren't recent, it's modernised & less classic. There are no bathrobes provided as in the photos. The telephone does not work, the fridge does not work. The view from the suite 302 was beautiful. The balcony was lovely to be on. The location was perfect. It's good value for the price, but not up to the standards of a 3* hotel. The spa bath was excellent. The room was spacious.